I keep thinking that I have all of fourth year ahead of me, but I'm starting to realize that this utopia will one day have to end. In fact, the end isn't all that far out of sight anymore. I feel like I just attended my last UVA football game, and I'm already planning my last UVA basketball game. So if you're free, I implore you: come to the George Mason game with me next Tuesday. Sadly, the rest of the home games this season take place during winter break, my interview in Boston, or my trip to Guatemala. Christmas Gifts: Ur Doin It Rite! And so the gifts start coming in. I guess the first one was prompted. You see, I used to have an orange and blue Resident Staff Nalgene bottle that I took with me everywhere, from my marine biology class in the Bahamas to my family vacations in China to the hospital wards at UVA. Sometime earlier this year, I lost it. I was heartbroken. Then I met Darius, a fellow UVA alum who now works at the Residence Life Office. He found me another Nalgene bottle just like the one I lost, as well as the newer issue water bottle. Thank you, Darius, for your kindness, which will not be forgotten. A Lannister always pays his debts. My second gift came in the form of an experience. Leslie is in town for work, so we met at Arch's to feast on frozen yogurt. One thing stood in the way of us lolling the night away reminiscing about the many classes and concerts we had shared: the water cooler was empty. The employee who was working had broken his collar bone and couldn't refill it, so I offered to do it for him, which meant I got to go behind the counter at Arch's. YES: I GOT TO GO BEHIND THE COUNTER AT ARCH'S. Indeed, a dream come true. The gift certificate for a free 9oz. cup that he gave me afterwards was just topping on the frozen yogurt. Get it? Like icing on the cake? I'm hilarious! Advent is upon us: a time for the celebration of the birth of the baby Jesus. A time for hope, love, joy, and peace. A time for us to prepare our hearts for the coming of our Savior, and to ponder what that really means for our lives. And, I hate to say, a time for purchasing Christmas presents. I cannot deny that the consumerist side of my personality is excited at the prospect of having an excuse to buy what I want, while the Asian side of my personality is excited to find so many sales to help me achieve that goal. So without further ado, here are the top 10 things I want for Christmas this year (in no particular order) that aren't too expensive. Okay, so that last one is kind of out of my price range. But... WANT! I came back to Charlottesville a day early to catch the final game of the UVA football season against our in-state rival, Virginia Tech. It was an important game that would decide which team would face off against Clemson in the ACC championships, but it was especially important to me because it would be the last UVA game I'd get to attend for free as a student. While the football game itself didn't leave much for us Wahoos to brag about, we still had a great time tailgating. So great, in fact, that it even inspired Sunny and I to take a normal picture while we were on the Range. That never happens. After stuffing our faces full of food first at Peter's tailgate and then at Stevie and Steph's tailgate, we decided it was time to make our way into the stadium. Luckily, the concession stands allowed us to keep consuming food once we were inside. In fact, the more the Hokies scored, the more we felt like we needed to eat our feelings. And even after we left the game, we continued to scavenge for food. Nosheen and I went over to visit Bishop and Richie, but when we found that they had already left the house, we were left with no choice but to eat their spicy peanuts. Mmm, so delicious! And so, in this week of Thanksgiving, I would like to thank everybody who fed me nomz before, during, and after the football game. Without you, I'd be nothing more than an emaciated medical student. I just finished Thanksgiving dinner, which can be more accurately described as the Feast of Meats. For the first time in many years, my family stayed in Richmond instead of traveling to the Outer Banks for the week of Thanksgiving. A three-person Thanksgiving dinner isn't all that exciting, though, so of course we invited several of our family friends over tonight. It was a potluck of sorts: my mom made her usual Peking Duck-style turkey, and I was in charge of preparing the glazed ham. This is the first time my mom has trusted me enough to let me do anything in the kitchen around the Thanksgiving holiday. I must really be growing up! Well, we made the mistake of assuming that all of the guests would bring vegetable dishes. Instead, they came with fish, chicken, ribs, shrimp, and even another turkey. Seriously? Who brings a turkey to someone else's Thanksgiving dinner?? And more than three non-meat dishes would have been nice. But it is a day of giving thanks, and I can't deny that I'm thankful for the amount of food we had, meat or otherwise. I kept eating until my stomach felt like it was going to burst, and then once it stopped hurting, I would eat more, and then it would start hurting again. A vicious cycle, and one that I never learned from. Hello again, missing seven pounds. The interview trail has taken its toll on me: I haven't been eating healthily or even regularly for the past month, and I certainly haven't had any semblance of an exercise routine. I knew I'd been falling out of shape, but it wasn't until I weighed myself today and found out that I'd lost seven pounds in the past month that I knew something was seriously wrong. Luckily, my parents' new house is just down the street from a new 24-hour American Family Fitness center. I went to check it out, and they even agreed to let me use it without a membership while I'm home for the holidays. It's a huge gym, complete with several indoor pools and even an indoor running track. The only downside is that it was built large for a reason: it was teeming with people. If I didn't know better, I would have thought that I was in the middle of the UVA Aquatic & Fitness Center at 5pm. But I really couldn't complain, since they were letting me work out for free. Of course, I may not be so cavalier (HIYO!) about it when I wake up tomorrow morning to find my entire body paralyzed with pain. Oh, DOMS, how I've missed you so. "This is one of my best friends, _____." That is how most people introduce one friend to another, and it may also be the moment you, the introduced, realize that you are one of the introducer's best friends. Unless, as it came up in conversation the other day, you are Paul and the introducer is myself. Apparently I call everyone my "best friend," to the point where the phrase has lost its meaning. Well, I definitely can't argue with the first half of that sentence. And Paul isn't the first person to point it out: Catmo used to roll her eyes every time she heard me say those two words. But how did it get that way? Why is it that I keep calling everyone my best friend? I don't know for sure, but maybe it's because I really believe it. For starters, there's Jim, my best friend from college. Then there's Cal, whom I consider my best friend from high school. Catmo: she would be my best friend who knows exactly how to ride that fine line between laughing and groaning at my jokes. Dylan is my best friend from being RAs together. Kathryn is, of course, the best friend who magically pops up whenever I need someone to vent to. Of all my best friends, Sunny is the one who shares the most lulz and nomz with me. 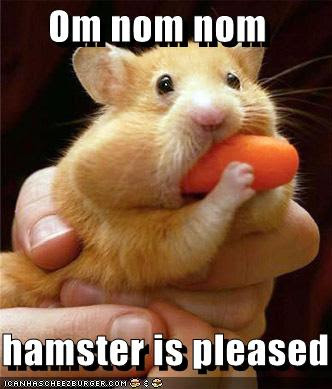 Lee is the one who steals the most lulz and nomz from me. Christin, my best friend who grew up with me. Nosheen is my best friend that I would go to for help with anything. Titan, as you may surmise, is my best four-legged friend. And even doubting Paul is my go-to best friend when I just want to hang out, whether it be in front of the TV, at a football game, on a hike, or as part of a trivia team. Perhaps my problem is that I don't have just one best friend. I value each of the people I mentioned above for a different reason. And it's not even like I came close to listing each of my best friends: if you're reading this, then there's a 99% chance that I've referred to you as my "best friend" at some point. No, I'm not including you, Ukranian guy I've never met before who found my blog using the search term "i had watermelon and the next day i developed skin rash." I guess I don't find it all that necessary to pick just one best friend. My one fear is that everyone else does, and then what? I'll never be asked to be somebody's best man, or even to be in a wedding party. It's actually something I think about a lot: I've been in a ton of weddings, but always as the pianist. Is it because my friends truly hold my piano playing in such high regard? Or is it really their way of keeping me from feeling left out without letting on to the fact that they don't consider me close enough to be a groomsman? Maybe I need to find a best friend for answering rhetorical questions, too. It's a new week, which means I just had another interview. I know, it's like an addiction. I can't get away from them, and I'm not embarrassed to let the whole world know! This last one was in Durham, and it was the first time I had ever visited that part of North Carolina. Nice town, made nicer by the fact that I was hosted by Laura and Mike. Like Julia and Matt, they have their own house in a subdivision that makes my house in Charlottesville look like a dumpster. Then again, even a dumpster would make my house in Charlottesville look like a dumpster. After all these years, I've finally made it to a Charlottesville Lady Arm Wrestlers event. I just got back from CLAWnucopia, a fundraiser for Quality Community Council. And what a spectacle it was. The match was in tournament style and featured arm wrestlers in costumes so absurd that Lewis Carroll would be shocked to see them. Fans can purchase CLAWbucks, which can be donated to each of the wrestler's posses, who then use the Monopoly-esque money to bribe the "judges" of the match. Our favorite character was Hester Prynne, who was unceremoniously defeated by the eventual champion, Reverend Blackbusch, in the second round of the competition. I can honestly say I've never been to anything quite like this before. There were so many colors and sounds, I'm still not sure I've processed all of what I experienced. In the same way, I'm still not sure I've processed that UVA actually defeated FSU at their own stadium while I was at CLAWnucopia. Wahoowa! I hadn't even had time to fully recover from my latest trip to NYC when it was time to embark on a different but equally stimulating, thrilling, and exhausting adventure: the Who's Bad concert at the Jefferson Theater. As you may recall, I saw them at the same venue last year, so I'll spare you my obsessive rantings. One thing that I didn't do last time, however, was talk about how much I love the guitarist in this band. Obviously the two singers who play Michael Jackson are amazing: their looks, sounds, and moves mimic those of the King of Pop as closely as I could possibly imagine. But the guitarist is quite the showman himself: he definitely knew how to work the crowd and get them fired up. I love it when "back-up" performers make the effort to show off their chops as well. It is my belief that being a good musician is only half the battle: the other half is convincing everyone else of that fact. And during last night's concert, the guitarist made a darn good case for himself. Who's Bad, I love you guys. You really Enjoy Yourself onstage, and the way you Shake Your Body and Beat It is just straight-up Bad. Words cannot describe The Way You Make Me Feel at your concerts, and I Want You Back as soon as possible so that I can Rock With You again. It was because of my own hubris. I had a flight out of JFK at 6am, and I thought that I had given myself enough time to get to the airport from Christin's place. Well, I would have, if the E train had not been taken out of service for track repairs. That was only the beginning of my mistakes. At that point, I should have just sucked it up and paid the $50 for a taxi, but I was too proud. I would make it to the airport via the A train. Sure, it would be cutting it close, but I wasn't going to throw money away taking a cab. Yet another error. I didn't factor in the time it would take for me to get from the JFK subway stop to Terminal 7, which put me there after the check-in time for my flight had ended. To rub salt on the wound, I had actually already checked in online and would have been able to make my flight had I printed my boarding pass before I arrived at the airport. All was not lost: the attendant offered to let me sit standby on the next flight for free. That is, until she learned that the next flight was overbooked, so there was no chance of me making it on. Pretty much everything that could have gone wrong went wrong, and I ended up having to pay $150 to take the next flight from LaGuardia back to Charlottesville. Yes, you read that right: after working so hard to get to JFK, I had to backtrack to LaGuardia. When something goes horribly wrong, I can usually count on it being a good story and play it off as something I did for the lulz. But this time, I'm not lulzing, because I'm going to be late to my Advanced Physical Diagnosis session, and I'm $150 poorer for it. Womp womp. That was supposed to be said in a tone à la Charlie from Lost. I was on my way back from the interview to Christin's apartment this afternoon when I ran into her on the street. Oh, New York City, you try to act all big and mean, but I know you're just a small town at heart. Since I had nothing to do, I ended up going to the bank and the nail salon with her. I had never been in a nail salon before. While I waited in the front, I couldn't help but notice that the bench I was sitting on was heated. How comfy! The next thing I noticed was that aside from the employees, Christin was the only girl in the salon. There was one guy getting a massage, and another guy getting a pedicure. Is that... typical? I don't know. You know what else makes NYC weird? There's a place down the street from Christin's apartment called Totto Ramen that serves all different ramen dishes. Not surprisingly, it's on the top of my list of restaurants I want to visit. First, though, I'll have to get over paying $10+ for a bowl of noodles. Why, NYC, do you insist on robbing me of all of my money?? Wait, wasn't I just there? Like, exactly one week ago? Why, yes, I was. But apparently I can't get away, because my life is a revolving door of insanity. Exercise: it's hard to keep up when you're traveling. Simply put, I haven't exercised in two weeks thanks to the fact that I've been traipsing around the mid-Atlantic. It doesn't help that the residency programs I've been visiting have all done their fair share of wining and dining me, which means I haven't really been eating healthily either. And that's my excuse for how badly my P90X Plyometrics workout went today. I felt exhausted and my legs started giving out halfway into the hour. It was, in a word, terrible. Time to spend the next two weeks getting back into a regular exercising regimen so that I can be super hungry for Thanksgiving! This post is dedicated to Paul, who said earlier today, "I smell a blog post in the making." Lee and Paul drove me back to Richmond today to pick up my car and my dog, both which I had left at my parents' house for the past week. When we arrived, Titan excitedly greeted us at the door, and a few minutes later, we noticed our hands were covered in dried blood. It took us a while to figure out that the blood had come from Titan's ear, and when I called my mom, I found out that he had run into the neighbor's yard to play with their dog last night but was bitten pretty brutally instead. Apparently he hadn't stopped bleeding overnight, so for a second I considered taking him to the vet to get sutures. But then I realized it would cost hundreds of dollars to sedate him and perform a procedure on him, so I quickly put that thought out of my mind. Lee, Paul, and I ended up using super glue (the poor man's Dermabond) to stop the bleeding. We also used a napkin to apply pressure to the site while waiting for Titan to achieve hemostasis, and now that's super glued to his ear as well, so he looks kind of goofy. After a quick trip to the Short Pump Town Center followed by a delectable feast of mom nomz, I forced Lee and Paul to go to the Byrd Theatre with me to catch Contagion. It's been a long time since I had seen a movie at the Byrd, but not much has changed. The theatre still smells kind of funny, and the seats are still uncomfortably close, but most importantly, Bob Gulledge still plays the Wurlitzer organ before the start of the show, as he has for so many years. Does your local movie complex have an organist? Yeah, I didn't think so. As a fourth year, I have re-discovered the luxury of free time. It's been months since I'd last read a novel for pleasure, and I've been craving some good reading for a long time. I decided to start with A Clockwork Orange, one of those books that I had always wanted to read but had never really got around to doing. The novel is divided into three parts, and to be honest, the first one was terrible. It took me forever to get into it, because it's hard to read (the narrator speaks in Nadsat, which is an odd combination of English and Russian), and because it's honestly a little boring. But then I read the second and third parts in one day, so as you can probably tell, it really picks up. If you've seen the movie but never read the book, I highly recommend that you do it, because the endings are surprisingly different. 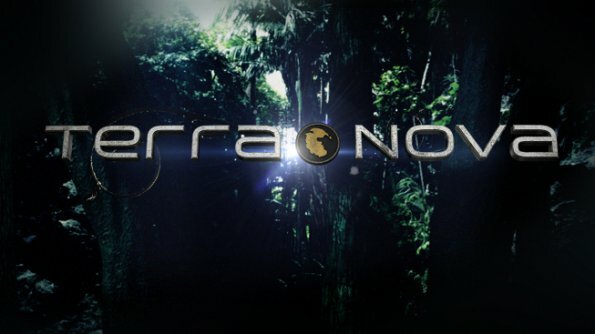 I also started watching Terra Nova, a show that combines my love for time travel and dinosaurs with a plot that's just reminiscent enough of Lost. Hello, sci-fi. Goodbye, sleep. Fun fact: there really was a dinosaur called the gasosaurus. If only I'd known that before trivia night on Thursday. Seven days and five away interviews later, I'm finally back in my room in Charlottesville. It's going to be so nice to sleep in my own bed tonight! Although I can't really complain about my accommodations last night: Julia and Matt picked me up from the bus stop and took me to their house. Yes, their house. As in the one they own. I stayed in their guest bedroom. Yes, you read that right. For the first time in a week, I slept not on a couch or a futon, but in a real bed. In a house. With a sun-room and a porch. It was unbelievable. My friends... they've grown up so fast! I can't believe it: this is my 1000th post on Idiopathies! I never thought I would live to see the day. Well, okay, maybe I had an idea. I am going to ruin this beautiful post with some sad news: I received my first rejection letter today. Johns Hopkins University, why?? I just wanted an interview so that I could come visit you and see for myself what all the hubbub was about. And now I'll never know. You will regret this! It's been a glorious five-day stint in New York City, but it's finally time for me to leave. I mean, talk about a city that can bring a hypomanic man to his knees. They weren't kidding when they said that this city never sleeps, and trust me, they don't use that extra hour during Fall Back for restful slumber, either. And so, after a two hour BoltBus ride, I find myself in Philadelphia, the meeting place of our Founding Fathers, but more importantly tonight, the meeting place of the Eagles and the Bears. With a new city comes new hosts. Thanks to Allie and Jim for letting me stay with them the past three nights, and thanks to Kristen and John for inviting me into their home tonight. Of course, Nosheen is familiar with John's bad influence on me: when I suggested that I might go out with him to watch the game at a bar, she immediately replied with: "Oooohhh hahaha. No. You're not allowed." Sigh, it's probably for the best. Well, today certainly went a lot more smoothly than yesterday. I slept in really late but managed to drag myself off of the couch in order to watch the NYC Marathon with Christin and her friend Alex at the 17th mile. Cheering on the many runners who had written their names on their shirts turned out to be a lot more fun than I expected, especially because Christin made signs for us wave at them as they went by. It was a beautiful day, so we strolled over from our initial spot at the intersection of 88th Street and 1st Avenue to Central Park, where we caught the runners at the 24th mile. We also found several other hilarious signs while we were there. Not all of them were necessarily family-friendly, but they certainly made me laugh out loud. I walked the extra mile. There were no naked cheerleaders. Oh, making the lulz out of current events. How clever! Watching the marathoners run 26.2 miles made us really hungry, so Christin and I went restaurant hunting near her place. We discovered a place called pure thai cook house, which had really cool decor, really good food, really large portions, and most importantly, really cheap prices. I got pork pad thai for only $10, which is less than I would pay for dinner at most Thai restaurants in Charlottesville. A successful day to end a successful weekend, symbolized in the form of a brand new blog layout. Thanks, Tina! I went to Randall Island with Cal, Jim, and Teie to watch them play football in their local league. After a pretty devastating loss, we headed to Swig to satiate our hunger with some delicious grub and to drown our sorrows with some pitchers. On the way back, the worst thing in the world happened: I left my wallet in the cab, and I didn't realize it until we were upstairs in the apartment. None of us remembered the taxi's number or the driver's name, so we were at the mercy of fate. I felt very little hope, and I knew that I needed my wallet back, because not only did it have my cash, debit card, and credit card in it, but also my driver's license, which is the only form of identity that I have with me in NYC. Without it, I can't get into bars, which is bad enough in itself, but even worse, I can't get onto airplanes. A half hour later, I got a call. I don't remember it, but Jim says that when I looked at my cell phone, I excitedly yelled, "It's a random number!" It was actually an officer, who notified me that a woman getting out of a cab had dropped it off at the police sub-station in Times Square. I was overjoyed! Within an hour of losing my wallet, I had it back in my hands, thanks to the kindness of a complete stranger. Thank you, ma'am! I will pass on your kindness by punching Jim in the face at some point tonight. I hate traffic in New York City. I had to take I-278 to I-495 to get from Brooklyn to Long Island for my interview was this morning. Google informed me that it would take 25 minutes to get there, so I played it safe and left an hour in advance. I was pretty satisfied with myself, until I got stuck in traffic for 40 minutes. First, I saw a sign saying, "Car accident on I-495. Two lanes closed." The next one read, "Car accident on I-495. All lanes closed." Uh oh. Finally, I came across a third one: "Road closed ahead. Please find alternate route." What? What?? I know of no alternate routes on Long Island, because I HAVE NEVER DRIVEN HERE BEFORE. I tried to call a bunch of my friends hoping they could direct me, but it happened to be 6:30 in the morning, so nobody was awake. Finally I got through to Nosheen, who was able to find the phone number for the program coordinator so that I could at least tell them I was on my way and still planned on interviewing that day. Luckily, I have a pretty good sense of direction, and I was able to get off of the highway and wander around some small streets until I could pick up I-495 again on the other side of the accident. I actually made it to my interview day less than 15 minutes late, and several people showed up after me, having run into the same problem. I am not alone! And thanks to Michelle and Trevor for hosting me last night! I just completed my first residency interview at UVA, my home institution, which means that I've kicked off my eight-day interview tour of the mid-Atlantic. I'm actually on my way to NYC as we speak, enjoying the free internet at the Richmond International Airport. This is the best!! The residency match is based in part on the way programs rank applicants and in part on the way applicants rank programs. I won't be posting much about my actual interviews on the blog, so that the process will be remain blinded just in case a program director or interviewer happens to stumble across Idiopathies (unlikely, I know, but possible). This means that you'll just have to surmise how I feel about each hospital I visit, or worse, ask me in person. GASP! UPDATE: I was really excited to spend the few minutes I had before boarding my plane surfing the interwebz. But it's been more than a few minutes now, as my flight has been delayed due to mechanical issues. Here's to hoping they fix the plane soon, and please pray that it doesn't crash mid-flight. Because, you know, that would probably stink. Sun Oct 30, 2:04am: Ibm athes vermolis. Lulz. Hcg?c?